If you’re suited and booted for most of the week, does dress down Friday have you cobbling together a motley ensemble? Or perhaps the terms Business Casual and Smart Casual have you running for the hills? If so, then you definitely need to make sure your wardrobe covers the tricky middle ground between suit trouser and casual jean. The blazer will do the job on the top half but what about the bottom half? Simple – a smart pair of jeans or a chino. Well first up I give you the smart jean. This needs to be the right wash and leg shape: not too loose so that you look scruffy but not too tight that you look like you are an Olly Murs tribute act – we do not need to see every contour of your leg. 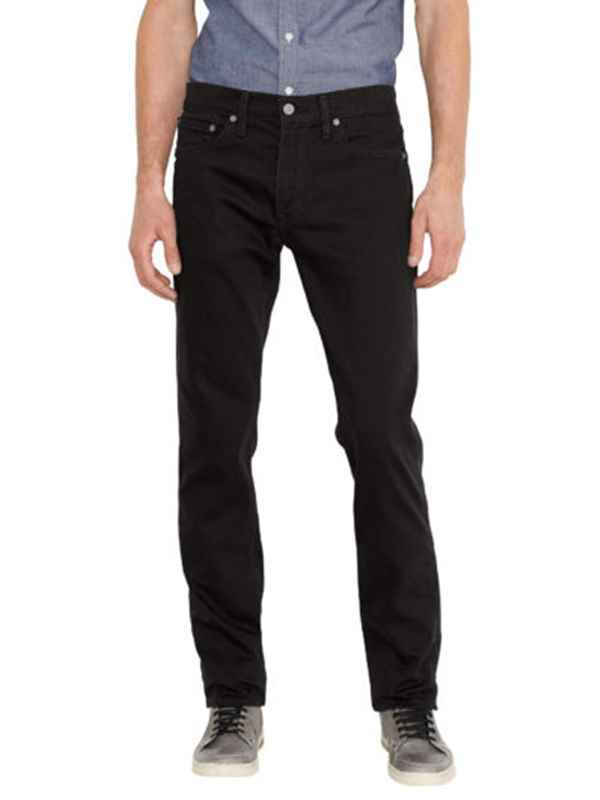 Levi’s 511 Slim Fit Jeans are the perfect balance. 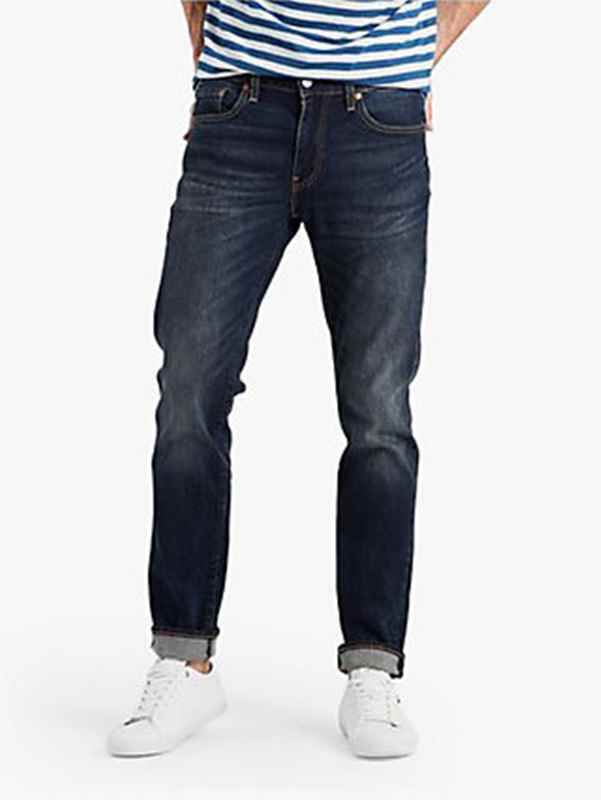 If you get them from Levi’s directly then you will be able to get the exact waist and leg length you need, but John Lewis and House of Fraser also stock a selection. These are obviously styled in a casual way but wear with a shirt, blazer and leather shoes and this is an easy win. Now for the wash – either go for a black. Or a dark indigo which will be the smartest wash. If you do have a slightly more relaxed dress code then a bit of distressing won’t go amiss: this is the Ama Dark Blue Vintage wash. Instead of wearing with trainers, go for a desert boot or a brogue and pair with a shirt/blazer. The other option is the good old chino but it’s not just a straightforward one size fits all approach. Firstly, you need to decide whether you want a smarter looking chino or slightly more distressed, casual look. Then you need to see which is the right leg shape for you – as with buying any pair of trousers. Gap does its Original Khakis £39.95 in several leg shapes but again I would go for a slim leg which is a good all round fit (they do skinny and straight legs too depending on your build) and these come in a multitude of waist and leg measurements (28 – 34 L) and in several colours including black, navy and the classic summer camel. Massimo Dutti also does a good chino in Slim Fit £49.95 . There is not quite the same flexibility in terms of sizing as Gap. Their Regular Fit £49.95 comes in four colour options including this beige. J Crew also has a lot of colour, wash and shape options to choose from and their 484 Slim fit Pant in Stretch Chino £76 comes in 15 colours and 30/32/34 ” leg lengths. 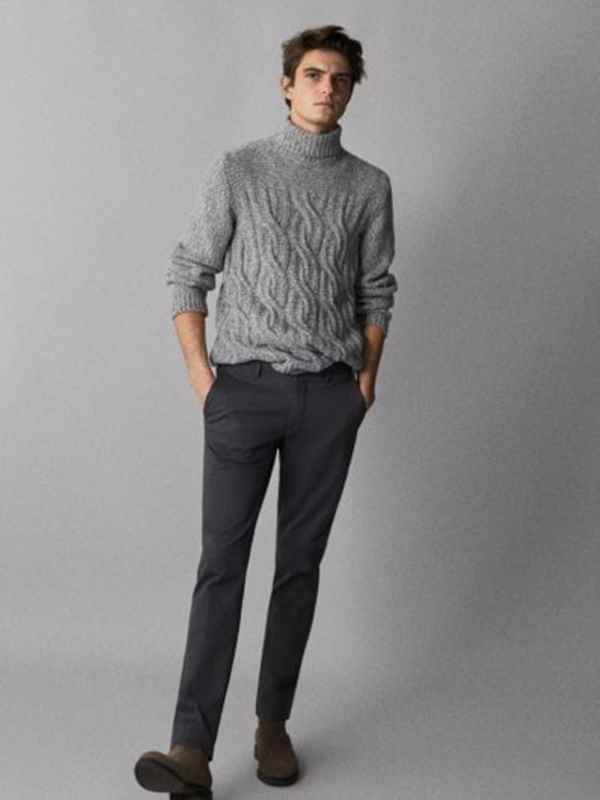 Go for the Broken in Chino if you want a more lived in look. In addition to the Slim and Straight leg styles, there is also the Athletic leg shape which sits somewhere between these two and tends to be looser through the thigh than the Slim leg but with more of a tapered leg shape than the classic Straight leg style. You will have noticed that a lot of these chinos are styled rolled up which works with a casual shoe but wear without a turn up and a desert boot for work. Unhelpfully, they don’t look hugely different in picture form so you’ll need to try on a couple of different styles to make sure you have the right one for your build. But whatever the shape, colour and wash you go for make sure you’ve got a chino and a smart pair of jeans in your locker and smart casual need never be a worry again.